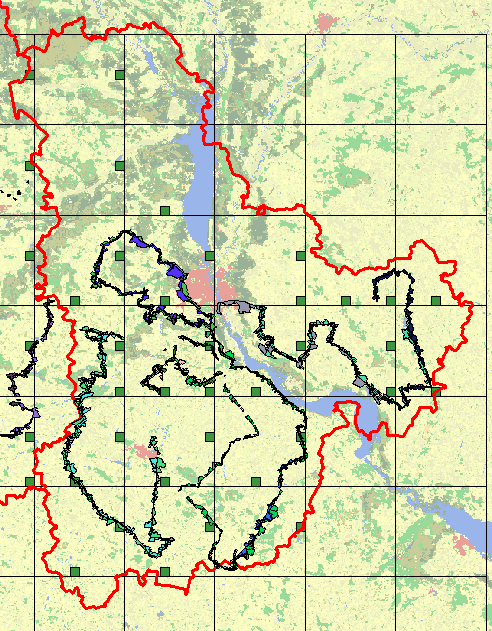 We performed area estimations for major crops in our test site “Kyiv region” in 2010. 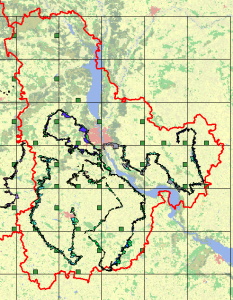 This work was performed in the framework of JRC contract “Crop area estimations using satellite images in Ukraine”. For this purpose both satellite data and comprehensive ground survey were involved. We used regression estimator as a method for area estimation. 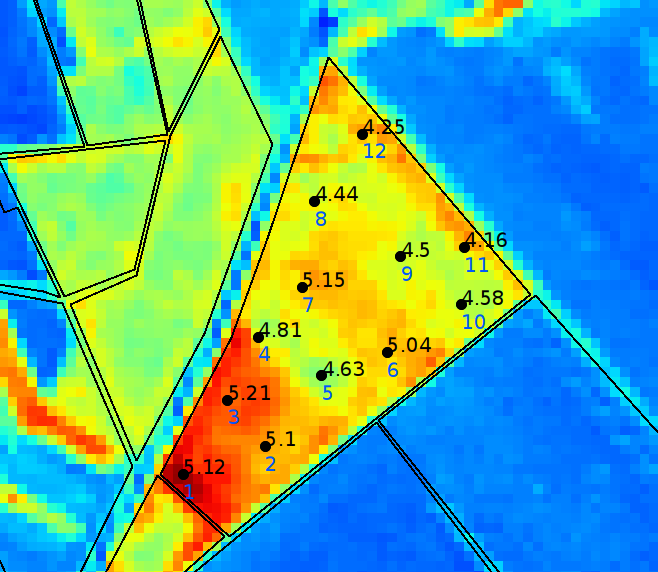 According to this method, satellite images and ground survey “along the road” are used to create crop maps, and after that produced crop maps combined with Area Frame Sampling ground survey data. In the result we produce area estimations with reduced bias and also variance of area estimates. 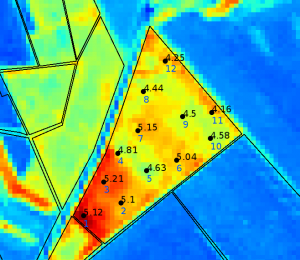 Ground survey data is shown on fig. 1. One of the purpose of the study was to estimate which satellite data is the most effective for area estimations in Ukraine, taking into account average field size, cloud cover issues, cropping practices etc. The main result of a study is efficiency and cost-efficiency analysis of different satellite data. It appears that mean relative efficiency of satellite data was around 1.5 for all sensors. For free data (MODIS and Landsat) this means that taking satellite images in addition to AFS survey could reduce project costs in 1.5 times. For commercial data providers (including AWiFS, LISS-3 and RapidEye) such cost reduce is not enough to cover the cost of the images. In 2011 we performed biophysical and agrochemical measurements of selected winter wheat fields for test site “Pshenichne”.